DIARY: CARL LOEWE - LIEDER (sung by Karl Ridderbusch, DGG, 1977) @320! 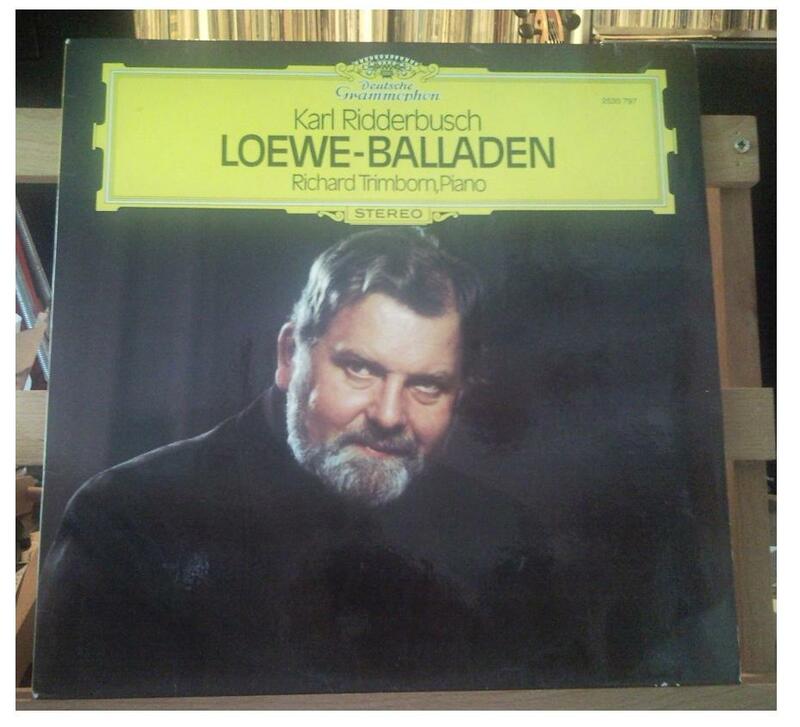 CARL LOEWE - LIEDER (sung by Karl Ridderbusch, DGG, 1977) @320! Carl Loewe (1796-1869) composed about 400 songs and ballads and being pianist and singer himself, he would tour Europe performing them in the concerts he gave. Some years ago an integral of his vocal works was published, but as to the singers' choice, the whole manoeuvre left me me quite unsatisfied. These are nine songs sung by one of the greatest basses existed, Karl Ridderbusch, famous especially in the Wagner repertoire. Here he shows an extremely refined intelligence and sensibility in the interpretation, together with his vocal instruments, a widely extended voice, warm and dark and powerful at the same time. He died in 1997, and this is one more masterpiece that's quite hard to get on a CD reprint, multinational labels seem to privilege these legions of newcomers, extremely busy in showing off their charicaturial outlooks more than digging the furrows of their "art". So many idols with feet of clay around... These colonies of fake singers get their nourishment from people who gather in flocks stuffing themselves in record shops to buy the latest farts of the most reclamized stars, fundamentally demonstrating that a certain audience deserves a certain fake-artist: somehow they are similar to one another. This is the principal reason why, besides, I keep holding all my "old" vinyl records tight to my heart, as long as the record companies keep showing their carelessness about quality. 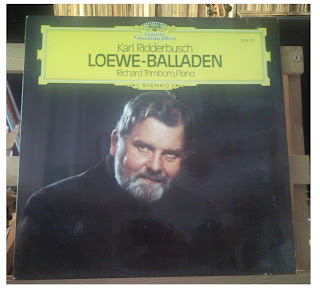 And to conclude, I repeat it here: maybe my visitors - unlike me - are not much interested in classical and lyrical music, but for those few who are, this is a musical jewel, so take the chance, Karl Ridderbusch is in great form. Three songs at least, I feel like recommending: "Der Nöck", which opens the album, "Prinz Eugen" and "Meeresleuchten". My copy is in perfect conditions, the rendering is absolutely first class, like practically every record I published so far, there4 enjoy.